Colorado businesses and residents can now install energy storage without discrimination in utility rates, charges or treatment — a move that could increase development of solar-storage microgrids. The guarantee comes by way of an energy storage rights bill recently signed by Gov. John Hickenlooper. Hailed by supporters as landmark legislation, SB18-009 effectively adds an article to an evolving energy bill of rights for utility customers. Given the protection and rights SB18-009 offers, the new law may boost deployment of solar and renewable energy microgrids in Colorado, said Sarah Birmingham of the Solar Energy Industries Association’s (SEIA). Birmingham oversees legislative and regulatory activity in the western states for SEIA. The new law does not set any targets or require utilities to acquire energy storage capacity. Another bill that paves the way towards that end is working its way through the state legislature. In arguing for the bill, lawmakers cited the security value of energy storage. “The threat of interruptions in the electric supply due to weather, malicious interference or malfunctions in centralized generation and transmission facilities makes distributed resources, including energy storage systems paired with other distributed resources, an effective way for residents to provide their own reliable and efficient supply of electricity,” SB 18-009 states. 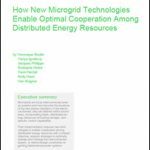 Intelligent battery energy storage lies at the core of many microgrids. By ensuring the right to install energy storage behind the utility meter, the new legislation may spur the launch of new solar-plus-storage and other types of renewable microgrids, Birmingham said. SEIA and its Colorado chapter, COSEIA, actively lobbied for passage of the energy storage law as it made its way through the state legislature and to the governor’s office. The law goes into effect May 9, when the state’s legislative session ends. “Others in the Intermountain West and other markets haven’t been able to show that level or degree of commitment, or followed Colorado’s lead. So it’s especially good to see Colorado’s continuing leadership,” Birmingham said in an interview with Microgrid Knowledge. Nevada’s solar energy market all but collapsed in early 2016 following a decision by the state’s public utility commission that allowed the state’s sole power utility, NV Energy, to levy charges on customers that generated their own power and supplied it to the utility grid. Deployment of distributed solar and energy storage on the part of utility customers also continues to generate a lot of debate and controversy in Arizona. The situation has changed in both states, however. Last summer, Nevada passed a Renewable Energy Bill of Rights, AB8405. Rooftop solar energy has been making a comeback in the state since, Birmingham said. Earlier this month, Arizona public utility commissioners put a halt to utilities’ long-term plans to build new natural gas power generation capacity. They put a nine-month moratorium on construction of new, natural gas plants of 150 MW or more as they continue to work on a policy framework that would see renewables supply 80 percent of state power needs. 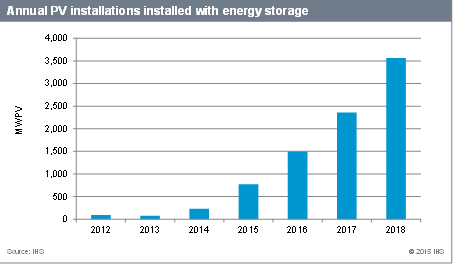 Energy storage figures prominently in their plans. Arizona’s legislators and regulators are also reexamining the relationship and obligations between utilities and their customers with an eye towards revising them, she added. That includes the introduction of time-of-use (TOU) electricity pricing by Tucson Electric Power. Looking ahead to developments in Colorado, COSEIA and SEIA will continue to work with the Colorado Public Utilities Commission on the rules that will establish Coloradans right to install and make use of energy storage without discrimination. The solar industry association also hopes to work with Xcel Energy, Colorado’s largest utility, to ensure that grid interconnection of customer-sited energy storage is as streamlined as possible, Birmingham said. 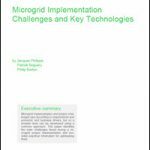 Track news about energy storage by subscribing to the Microgrid Knowledge newsletter. It’s free.